By selecting the right sheep, you can avoid lots of problems in the future. This is very important. 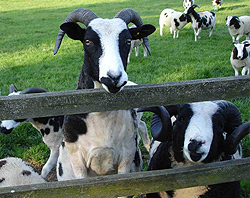 Tight, close horns can grow right into the skin of the cheek and cause immense suffering. 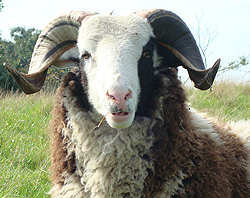 Always try to keep only rams with horns well away from the face as they will pass this trait on to their lambs. 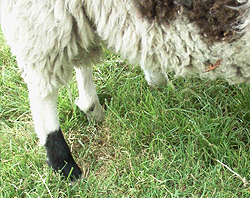 The health of the sheep depends on it being able to range widely and feed properly. 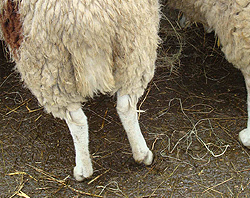 Strong, upright pasterns will see an animal right through its life and is especially important for Rams who have to carry their weight when they mount the ewes. 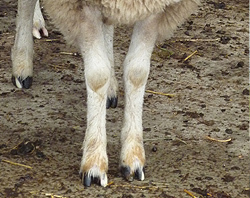 A lamb with sloping, weak pasterns can only get worse with age, and really shouldn't be kept for breeding. 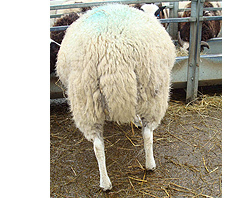 These faults indicate a narrow sheep with a poor carcase. 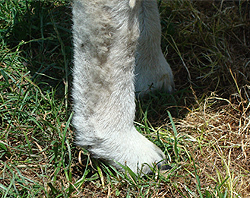 Good, widely placed, straight legs on a broad body are much preferred. 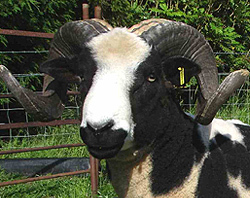 The Jacob Sheep Society standards have created a national flock with a certain 'look' that has become accepted as the best type of Jacob. 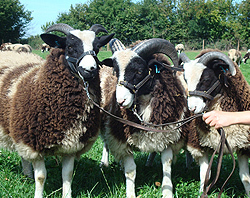 These do not affect the quality of the meat, but do give a tidy and attractive look to our sheep. 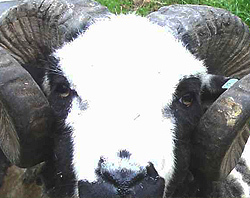 White faces and white horns are not desirable, as are completely black faces with no badger stripe. 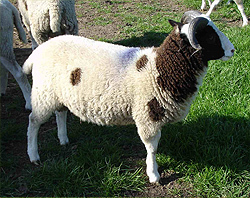 The ideal Jacob has black cheeks with a white stripe, well defined black and white wool and with clean white legs with no black knees or feet. 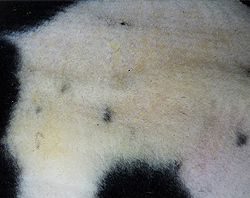 Spinners want to be able to separate the black from the white wool so well defined black spots are preferable with no black freckles coming through the white. 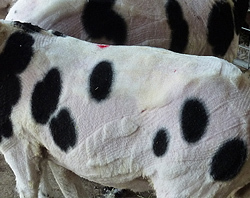 Ideally, we choose to keep lambs with bright pink skin under the white wool, to avoid the freckly look in later life.